So what they do nowadays? 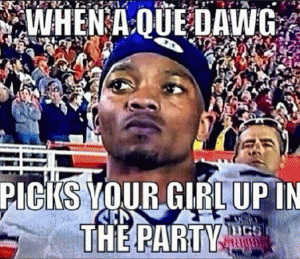 Make y'all just dance to get into the frat? 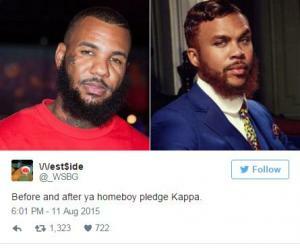 Before and after ya homeboy pledge Kappa. Whatchu know about that there kane boy?! Shame how little is known about black culture by the outside world. 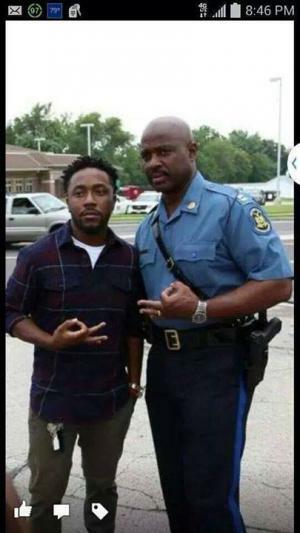 This meme has been circulated which purports to show a member of law enforcement throwing up a gang sign in #Ferguson. Well, I got news folks...that aint no gang sign. 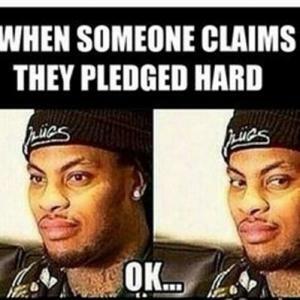 The appropriate assumption would be these are both men of Kappa Alpha Psi Fraternity, Inc. It is a black Greek lettered fraternity that is over 100 yrs of existence. A service organization. Not a gang. Dont be blinded by your own bigotry.